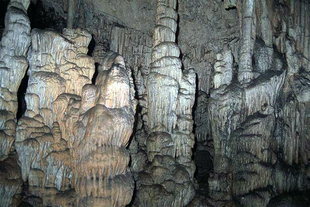 The cave of Dikteon Andron became more important than the cave of Trapeza (also in the Lassithi Plateau ) during the Prepalatial Period (2000-1700 B.C.). Its fame continued throughout the Greek times (about 700 B.C.) 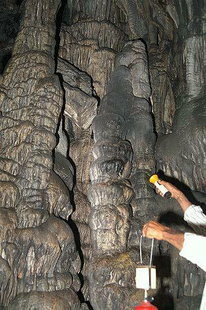 when it lost its importance to the Ideon Andron Cave in Rethimnon . Many bronze figurines, double axes, rings and broaches have been found and are shown in the Iraklion Museum. 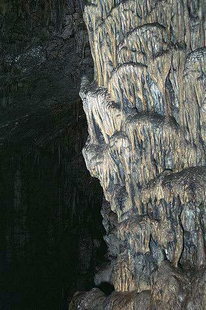 The cave consists of two parts: the antechamber is flat and has a length of 42 metres, a width of 19 metres and a height of 6.5 metres. An altar was here and around it were tables for offerings which indicates that the cave was a cult centre from the Minoan Period on. 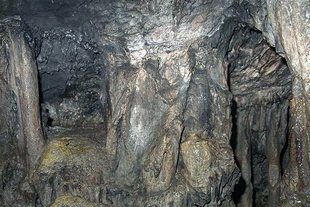 The second part is the main cave and slopes downward leading to the lake and the four chambers at its end. According to the legend, Zeus' father, Kronos, had sworn to devour all his children to avoid losing his kingdom. Rhea tricked him by giving him a stone to swallow and left Zeus in the Dikteon Cave. Here the goat nymph Amalthia nurtured him and the Kuretes (5 Cretans) protected him. They banged their shields to drown out the baby's crying.